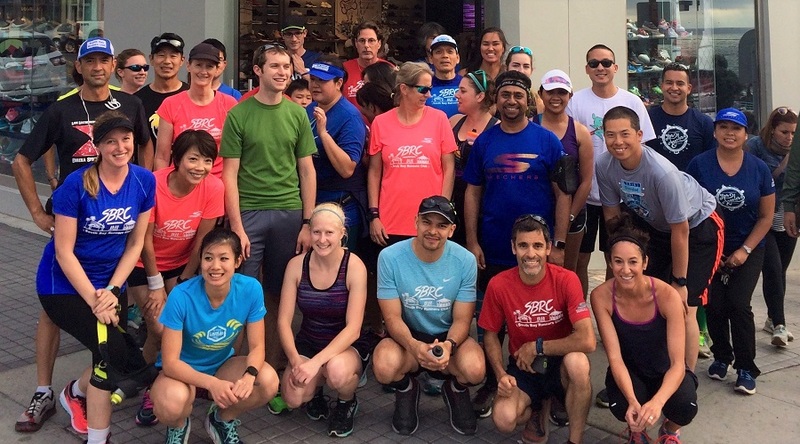 Every Thursday evening, the South Bay Running Club starts its training runs at the downtown Manhattan Beach Skechers store. On Sunday, 120 of its members will join an estimated 24,000 other runners at Dodger Stadium to compete in the Los Angeles Marathon. South Bay Running Club’s sponsor Skechers is also the title sponsor of the Skechers Performance Los Angeles Marathon. The races begin at 6:30 a.m. with the Wheelchair division followed by Handcycles (6:42 a.m.), the Elite Women (6:45 a.m.), and the Elite Men and the rest of the field at 6:55 a.m. The race finishes on the Santa Monica bluffs, overlooking the Pacific Ocean. Skechers’ support of the South Bay Runners Club has helped the club grow to over 360 members in only four years. Members run for reasons ranging from raising awareness for Train 4 Autism (the official charity of the Skechers Performance Los Angeles Marathon), to running in memory of loved ones, to putting a modern spin on race prep through virtual training across the country. “Most of our participants are runners but quite a few are run-walkers and race walkers,” Weisberg said. 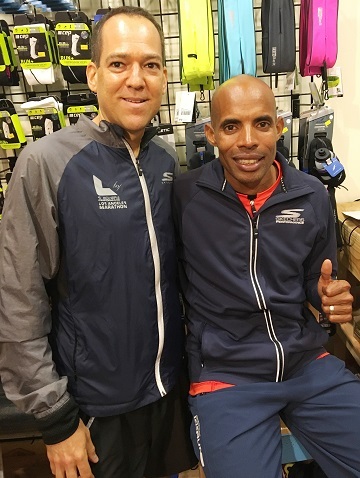 “Some will be running to get a personal record or qualify for the Boston Marathon. Some run to raise money for charity and others just want to check it off their bucket list. Another, Amy Calderon, ran her first marathon as a student under the Students Run LA (SRLA) program which provides free after-school mentoring and physical fitness for at-risk middle and high school students in Los Angeles. Now she’s running to raise money to fund SRLA, inspire current students, and give back to the program that helped her so much. The South Bay Runners Club will have a cheer station at Mile 17, where more than 50 members will be on the course supporting the athletes.